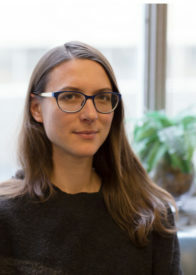 Carolina de Miguel is assistant Professor of Political Science at the University of Toronto and affiliated Faculty at the Centre for European, Russian and Eurasian Studies, Munk School of Global Affairs. She received her PhD from the University of Michigan. Her research interests lie in comparative politics with an emphasis in the comparative study of political parties and party systems, electoral behavior, the politics of federalism and decentralization, and political geography. Her current book project explains when and why parties succeed in nationalizing and when and why they fail. She is also researching electoral behavior in competitive authoritarian regimes in the Middle East and is starting a project on the psychological mechanisms explaining gender differences in political involvement. She teaches courses on Comparative Political Parties, Politics of Federalism and European and EU Politics.